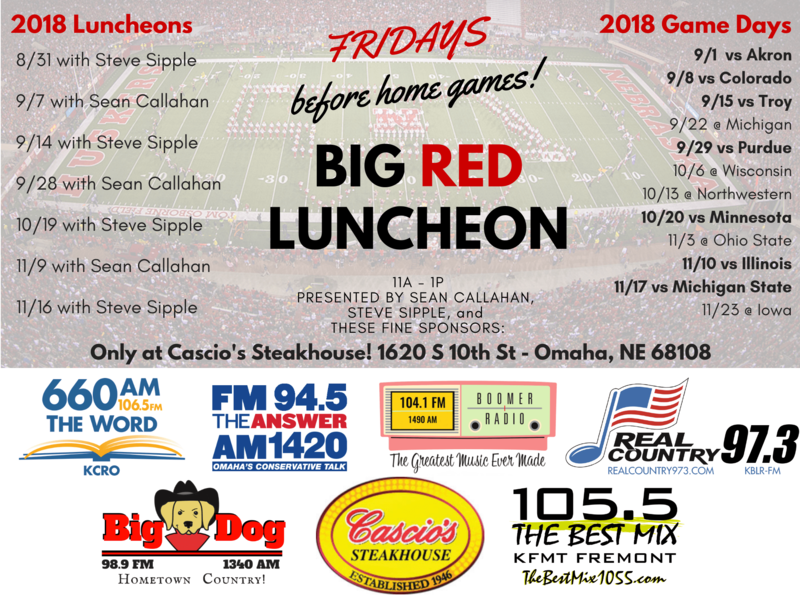 class="page-template-default page page-id-1653121 wpb-js-composer js-comp-ver-5.7 vc_responsive"
The Huskers football program has been revitalized and you can get in on the excitement at our Big Red Luncheons at Cascio’s Steakhouse! It’s the only Husker luncheon in the Omaha metro with expert input from Husker reporters Steve Sipple and Sean Callahan. Join us every Friday before a home game to get the inside scoop on everything Husker football.